The image shows various stages in the evolution of papillary endothelial hyperplasia. Hemorrhage and early thrombus are seen on the right. Ingrowth of endothelium has subdivided the organizing thrombus into coarse clumps (center). 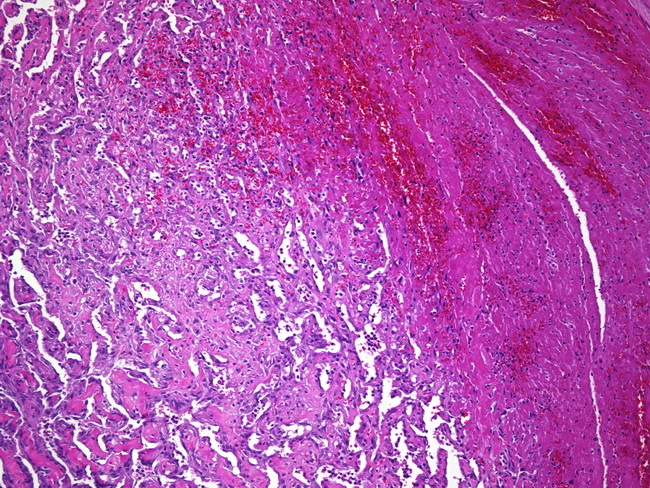 Small papillae with fibrin cores are seen in the more established parts of the lesion (bottom left of the image).